Galactosemia is an inborn error of galactose metabolism secondary to deficiency of galactose-1-phosphate uridyl transferase (GALT). GALT is a polymorphic enzyme and Duarte (D) is the most common enzyme variant. This variant is characterized by faster electrophoretic mobility and reduced activity. Duarte/galactosemia compound heterozygotes (D/G) are commonly identified in galactosemia newborn screening programs. However, these patients do not generally require treatment. 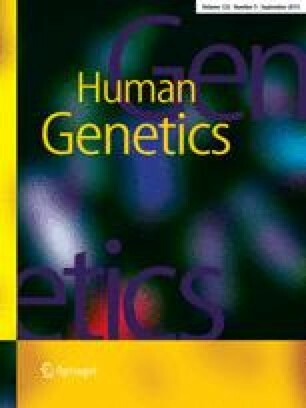 By using a “candidate mutation” approach to define the molecular basis of the Duarte variant of GALT, a close association between the previously reported N314D polymorphism and the Duarte variant of GALT was found. We suggest that N314D encodes the D variant of GALT and that molecular testing for N314D might be useful to confirm a biochemical diagnosis of Duarte variant of GALT.